22. Wiz Khalifa f/ Juicy J "Errrday"
While not the first cat you think of for inventive bars, Oscar-winning Memphis rap legend Juicy J can still surprise with his winning witticisms, and on "Errrday" he takes the gold with a nifty nod to Kobe Bryant (who, sadly, may not be Juicy J's neighbor much longer). That quotable—part of Juicy's somewhat unexpected but no less triumphant resurgence this year—lifts what might have been a run-of-the-mill joint to year's-most-memorable status. Let's face it, the song illustrates many of 2011's prevailing themes—in beat structure, lyrical content, and young x old collaboration. 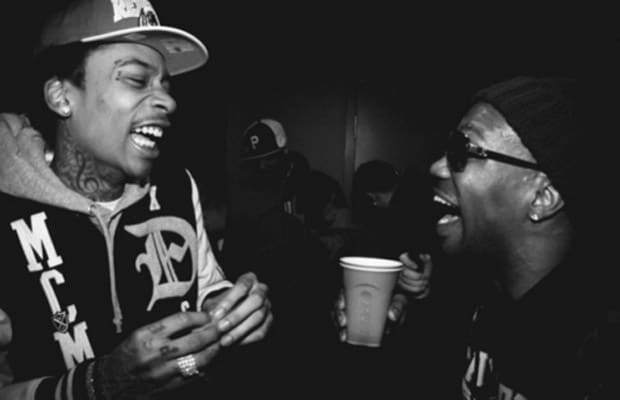 Inspired by the Triple Six legend, Wiz digs deep in his stash of rhymes, making us want to hear this one "Errrday."